For additional information, contact the USPMA Officers. 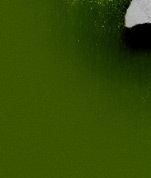 A) A verified graduate of any military (US or Foreign) airborne (parachute) course. B) The only Acceptable proof for membership to the US Paratroopers Motorcycle Association will be a DD214, ORB, ERB or equvelent military documentation confirming one's status as a military qualified parachutist. 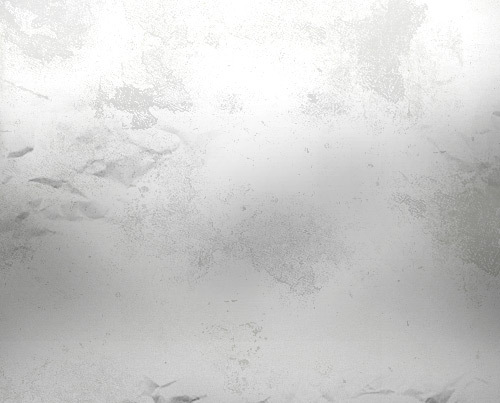 C) Must own and operate a Motorcycle of 30.50 CU IN (500CC) or above. 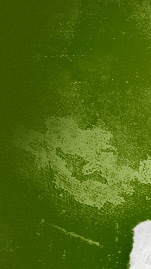 A) A verified veteran of US or foreign military service. 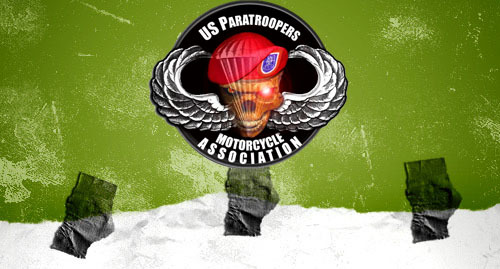 B) The only Acceptable proof for support membership to the US Paratroopers Motorcycle Association will be a DD214 or equivalent military documentation confirming one's status as a military veteran. A) A verified spouse of any full member or support member. B) Support the efforts of all branches of the United States of Americas Armed Forces and the US Paratroopers Motorcycle Association. 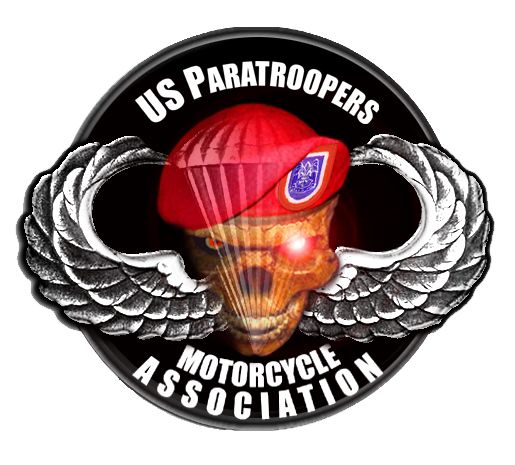 Copyright © 2017 United States Paratroopers Motorcycle Association. All rights reserved.